It’s All About Growing Sales! If the wild success of Amazon tells us one thing, it’s that e-commerce is going to play a huge role in the future of consumerism. When businesses set up their e-commerce website(s), their focus is mainly on things like site structure, design, and content. In many cases, actually marketing the website can sometimes be an afterthought. This often leads to a sharp decline in sales, despite having the basics like SEM and SEO covered. This is why full stack e-commerce marketing is essential for success. After all, what good is an amazing website if no one knows about it? In the aggressive and competitive domain of online retail, the best way to increase your chances of survival is by standing out from the rest. In many cases, this can sound like an uphill battle. That’s where we come in. 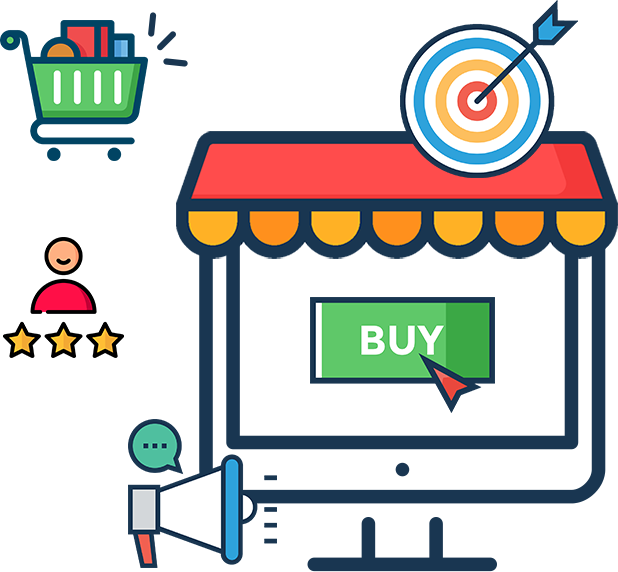 Ayokay is highly specialized in e-commerce marketing and will work to surge the growth of your website like never before. We pride ourselves in finding the “what’s” and the “how’s” of a compelling strategy that drives revenue. This includes hyper-focused efforts in areas such as content marketing, influencer marketing, remarketing, and continuous maintenance and upkeep. We set priorities for your campaign(s) in relation to your business objectives. We help you identify various marketing channels and conduct data-driven testing to find the approaches that work best. Years of experience have given us a detailed knowledge of the e-commerce landscape and the major industry players. We don’t make decisions lightly. Every move we make is backed with hard numbers and proven tactics. 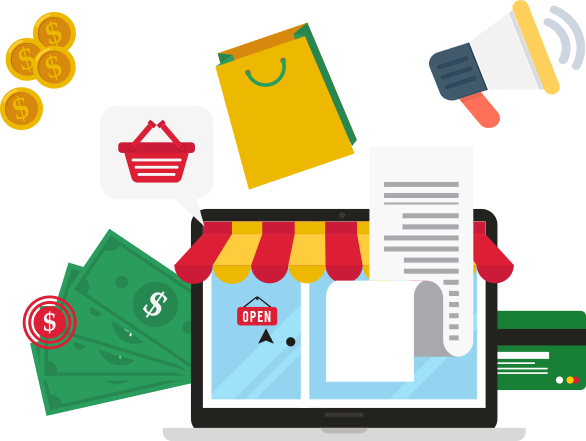 Our e-commerce marketing team is made up of veterans in taking online businesses to unsurpassed heights. We have a firm grasp of effective market planning and execution throughout a wide range of strategies. Moreover, we bring a great deal of practical experience in website analytics, conversion rate optimization, social media marketing, email marketing, as well as advanced e-commerce platform knowledge to the table. Understand the stages of your site’s unique customer journey and implement tactics to guide visitors down the sales funnel. Generate marketing collaterals and creatives to meet your conversion goals efficiently. Manage and maintain various e-commerce platforms with exceptional UX and design. Plan and document processes to generate reports at regular intervals. Develop and lead e-commerce marketing initiatives every step of the way. Analyze data to optimize sales and marketing tactics. Optimize conversions using methods like A/B testing and data analysis. Stay on top of the latest trends, tools, and techniques related to e-commerce industries and use them for optimal results.